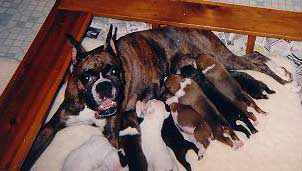 Bentbrook's Jewel Box and her litter of 9 born 1997 ! Am. Can. Ch Bentbrook's Image of High Noon 4th from R.
Can. Ch Bentbrook's High Noon's Legacy 4th on L.
Can. 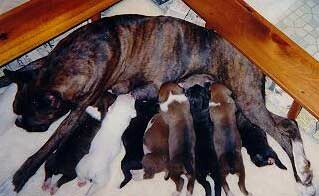 Ch Bentbrook's High Noon's Heritage 1st on L.
Bentbrook's Black Inga 3rd on L.
Bentbrook's High Noon's Shadow 3rd on R.